Hole In One Motor Sports is your #1 source for all of your Supercup / Minicup parts, sales, and service. Hole In One Motor Sports offers completey American built 1/2 scale NASCAR mini cup cars, new & used, NC chassis, Lightning Light bodies, REAL & Douglas wheels, American Racer & Hoosier tires, helmets, fire suits, shoes, decals, graphics, accessories, and more. We also offer specialized Super Cup / Mini Cup car setups. We offer engine Dyno work. Come check out our 7000 sq. ft. building dedicated to the Super Cup / Mini Cup Sport! Check out our Central States Region Super Cup 2019 race schedule! 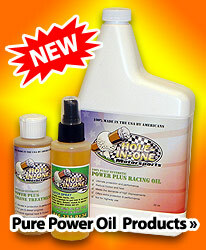 Home of True Power Racing Oil... One of the only true group 4/5 True synthetic motor oil! Few are equal... None are better! All prices are subject to change. Larger, more bulky items will be subject to additional shipping & handling charges. We will call or email if this applies to your order. 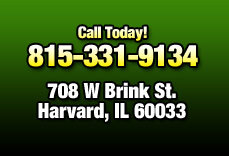 So give us a call at 815-331-9134 with your questions, orders or car requirements. You can also use our online contact form, or visit our one of a kind supercup showroom in Harvard, Illinois by appointment only.